I have decided to make a list of ten songs that I could see being used for background music in expensive shopping boutiques. 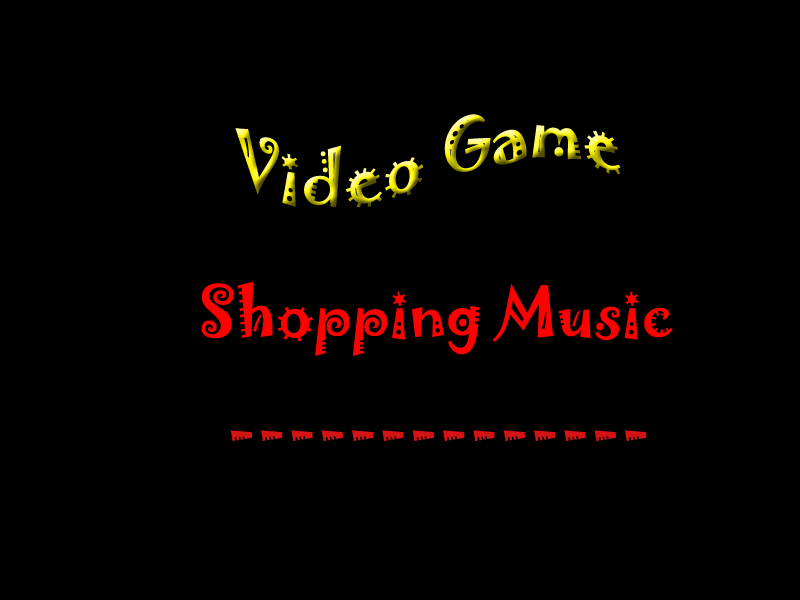 The criteria is that when the music is playing in a game, you got to be in a shop, buying something, or people could be buying things. There are a lot of musical arrangements that I am omitting that could be very fitting. Thus begins my bias towards a few games. You already know Zelda is going to be in here MULTIPLE TIMES. Maybe I ran out of ideas? Let this strange gimmick commence. (Please visit KQ V QuestStudios and download "The Town" which is an enhancement of the original. King Graham knows how to drive a hard bargain. He trades a golden needle for a cloak, a marionette for a sled, and a silver coin for a pie. Those are great bartering deals for a King who picks up anything that isn’t nailed down and powers a magic wand with moldy cheese. The shop music is too obnoxious. Therefore I did an override and made this the shop music. If I were going to be playing F-Zero music in my store, I would need some fast cashiers if I used the old music. A trendy beat considering the merchant setup shop in a library and only has one customer, Alucard. 7. Earthbound : Store music. This is a happy song. The owner is a giant bull named Fernando who got his precious Treasure back, which is a china bird. Fernando and Treasure don’t seem to sell much inventory, but it makes people happy. I always smile. Falderal is a crazy town, but is has some regal music. Let that Archduke Fifi Le Yip Yap have his party! There comes a time where strange music, ala Funky, comes into play. I prefer the gameboy version since I played the port of Donkey Kong Country 2 originally. This would be the strangest music to go buy a flight. Thus we enter the expected area of the shopping music façade. You knew Zelda was coming, but do you know what to expect for number 1? The answer will shock you. 4. Zelda Links Awakening Witch, Minish Cap, ect. : Syrup music. The first time I heard this, it was while playing Link’s Awakening. The music makes me desire to purchase one of Syrup’s mighty potions. I wouldn’t give her any mushrooms for her potions though. 3. Zelda OoT: Hyrule Marketplace. There are a ton of women fighting over clothes, random goods and who knows what in the Hyrule Marketplace. This is a very addicting song. This is THE shop music. Ocarina of Time has started a tradition where every Zelda song yearns to include this song in its game. This song has been remixed a lot just like all the other Zelda music. 1. Zelda Twilight Princess: Malo Mart! Now that you have either learned or have been reminded of the Malo Mart, you need to go out and spend spend spend! Our economy doesn't need the money, we just need more games that inspire in-game shopping. It's amazing Tingle didn't make it into this article. I scared you I bet.